The landscape of the historic and industrial plateau of Sévelin is lined by tracks of the original forest of the Flon valley. The area, converting into school, cultural places and housing, welcomes a project identifing and developing the reference spaces through a park and a public promenade, revealing the topography of the site. 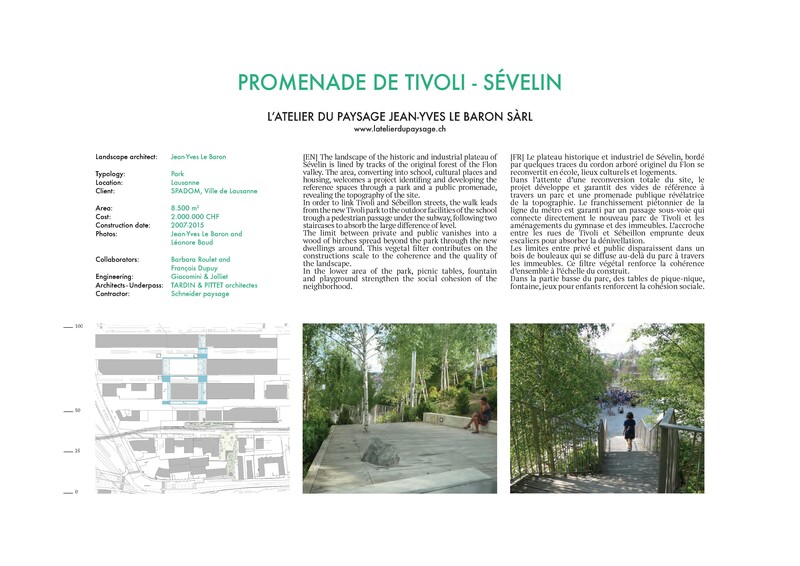 In order to link Tivoli and Sébeillon streets, the walk leads from the new Tivoli park to the outdoor facilities of the school trough a pedestrian passage under the subway, following two staircases to absorb the large difference of level. The limit between private and public vanishes into a wood of birches spread beyond the park through the new dwellings around. This vegetal filter contributes on the constructions scale to the coherence and the quality of the landscape. 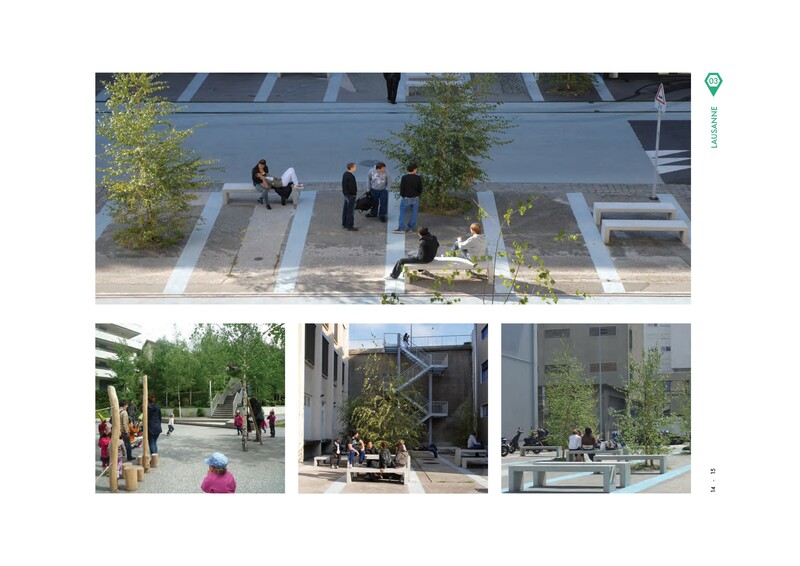 In the lower area of the park, picnic tables, fountain and playground strengthen the social cohesion of the neighborhood.